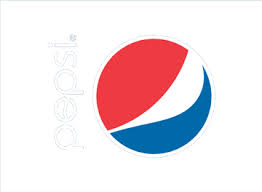 PepsiCo, Inc. (NYSE:PEP) increased its profit outlook for 2014 after releasing its third quarter 2014 financial results. The results are better than the market expectation with growth in net revenue as well as core gross margins of the company. PepsiCo announced net revenues of $17.21 billion for third quarter 2014 with an operating profit of $2.84 billion. The company registered an improvement of 2% in its net revenue as well as operating profit when compared with the same quarter last year. At the same time, its organic revenue grew by 3.1% along with 8% organic revenue growth in developing and emerging markets. PepsiCo reported net earnings per share of $1.32 and the company is on its way to deliver $1 billion in productivity savings this year. Indra Nooyi, Chairman and CEO of PepsiCo, Inc. (NYSE:PEP), said, “We delivered good third quarter results in the face of an ongoing challenged macroeconomic environment driven by increasing volatility in the emerging markets and continued sluggish consumer demand in developed markets.” The performance of the company this year helped it raise the core constant currency EPS by 1 percent. A higher profit outlook and better-than-expected third quarter results are likely to offer some relief to the company from activist investor Nelson Peltz, Trian Partners, as the former started a campaign against PepsiCo, Inc. (NYSE:PEP) to split its snacks business from its slower growing beverage business. Mr. Peltz hold 1% share of the company and might even raise a proxy battle in the next year’s annual shareholder meeting.